Discourse regarding gender in Victorian literature has its foundation in an entrenched, and for the most part unchallenged binary. Coming out of the Georgian and Regency eras the societal expectations placed upon a woman were very clearly those of subservience and benignity, whereas the man was able to execute a level of agency that, while limited by class restrictions, was far more liberal than that of their wives, mothers and daughters. Men had control over family wealth and power, whereas everything a woman had at her disposal was within her own person, that is her virtue, morality, intelligence and drive to survive or nurture. It would be all too easy to paint men as the oppressors, as the enemy of women, but the Victorian depiction of the relationship and the power dynamic between the genders is often complex. In this essay I will explore the primary texts Middlemarch (Eliot, 2015), “The Goblin Market” (Rossetti, 2017) and “A Castaway” (Webster, 2017) and how each depicts the complex interplay of gender relations and power. Central to Rosetti’s depiction of femininity is the idea of sisterhood and the relationships between women, particularly, but not exclusively those who are biologically related (Casey, 64). The sisters, Laura and Lizzie, live a very simple existence but derive strength comfort and warmth from their relationship with each other. As there is no mention of any other people in their home lives they seem to lead an isolated, but happy and safe existence (Rossetti, 184-198). It is only through the strength of their bond, and Lizzie’s sacrifice for her sister that they are able to overcome the goblins and their curse. The action Lizzie takes to save her sister from temptation and ruin makes her a Christ like figure in an era when men were commonly the redeemers. Lizzie as the figure of sisterly redemption echoes the notion of sisterhood that was gaining increasing traction, not only through religion but also through the more secular practice of nursing made prominent in the contemporary public consciousness (Casey, 64). The projected image of masculinity in “The Goblin Market” is presented as a dichotomy of sorts; there are the goblins who would steal the morality and virtue of the sisters, and their eventual husbands with whom they are happily married in the conclusion (Rossetti, 544). The husbands and the situation of being married do not seem oppressive, or destructive as the Goblins did, providing evidence to suggest that Rossetti is not using the masculine as the enemy of the feminine, but rather that men have the potential to operate via trickery and vice can be deployed to enslave young women and girls (Casey, 67). In the end the weakness of the Goblin men is exposed by the redemptive sisterly love that Lizzie exhibits for her sister. The potential toxicity of masculine is also explored in Webster’s “A Castaway”. Webster also presents us with two visions of masculinity; the men who have cast aside Eulalie and her clients. She asserts that she “hate[s] men” (Webster, 271) when expressing her need for a female redeemer rather than a male. She has fallen victim to a society that only affords men the privilege of education, adventure, and autonomy. As a result of being punished for not abiding by the rules of her preassigned role she has become resentful of the males whom the system directly benefits. She speaks of her brother who was given all the chances she lacked and from whom she has since become estranged. Unlike her brother she has been offered limited ways by which to ensure her survival, many of which are not guaranteed and force her to relinquish her autonomy (Webster, 264-269), whilst men who are more immoral than her are revered (Webster, 86-103). Eulalie in “A Castaway” problematizes the othering of the fallen woman or prostitute in Victorian society. Unlike the sisterhood of the “Goblin Market”, the wives and other, reputable women stand in judgement of Eulalie treating her as a completely different creature from themselves (Sutphin, 520). She regards their disapproval and condemnation with disdain (Webster, 137-140), and thus this mutual resentment sets up a combative and vicious relationship between women as they scramble to make their way in a world where they are all subservient to men in some way. The othering of Eulalie is particularly difficult as she does not conform to the general image of the prostitute of the time; she is from a good family, she dresses well and does not make a spectacle of herself as other, less privileged and refined women do (Sutphin, 527). She is more like them than the society women and men would like to admit, and if they acknowledged this they would not be able to treat her as they do. The reader however is being forced into acknowledging her problematic status and as a result, Eulalie becomes a sympathetic and confronting figure of Victorian womanhood (Sutphin, 527). Unlike the men in Eulalie’s story the men of Middlemarch are more nuanced in their good nature and villainy. Many powerful men in the text lose their power through their own machinations. The pious Mr. Casaubon wreaks havoc on his wife Dorethea from beyond the grave, judging her without cause. He not only implies Dorethea has feelings for Will, but his accusation sets in motion the events that he was trying to prevent in the first place (Eliot, 1141-1148). Similarly, Mr. Featherstone’s desire for power over his benefactors leads him to create two wills and then be deprived of the choice of which is executed by the principled Mary Garth who refuses to burn the most recent and vindictive will (Eliot,739-748). In this way the powerless servant girl Mary is suddenly put in a position of tremendous power despite the money and influence of the man who has been, until the final moments of his existence, dominant of her. Young Fred’s form of weakness on the other hand is one of little thought and obligation. He is silly and frivolous as he has never had to be otherwise as a young man of means. The women around him and those who support him are left to deal with the fallout of his actions. Unlike the pride of Mr. Casaubon and Mr. Featherstone, whose devastation is wreaked when they are deceased, Fred is redeemable and it is through the hardship and forgiveness of Mary and her family that he begins to understand the impact his actions may have (Eliot, 581). The implication of the text seems to be that men of means who are not held accountable can be a destructive force that reverberates throughout their community, whereas a man who is held accountable, whether by others or his own morality and strength of character can be a force for good or at the least benignity. Women are ultimately reliant on men for survival in Middlemarch but the form their dependent relationship takes varies. Dorethea, Rosamond and Celia are aware of the need for them to marry well in order to be respectable prosperous women. Their beauty and refinement are emphasized as they are the key assets in ensuring they can maintain their luxurious lifestyle (Waddle 19). However, the “dreadful plain” Mary Garth (Eliot, 240) defies this convention, choosing, of her own volition instead to marry Fred who is not the best match available to her (Waddle 22). Dorethea in her marriage is entirely subservient to Mr. Casaubon and Rosamond is completely infantilized, whereas Mary and Fred have a much more equal dynamic as demonstrated by her ability to admonish him without fear and their mutual respect for one another (Waddle, 21). The only power available to many of the women in Middlemarch is wielded through influencing their husbands. The women, often have limited impact outside the domestic sphere and as a result are often confined to it. It is the men of Middlemarch who are the ones who are held in high esteem for their works and are able to avoid obligation should they choose. The contribution of women is less valued and they are heavily restricted by social constructs and domestic obligation. These texts highlight the degree to which women are often utterly without independent power in Victorian society. Whether she is a woman of means or poor she is able to escape the limitations faced by her within society. Unlike men she has limited established protections and is often unable to defend herself against injustice. However, she is demonstrated as being in every part the equal of a man within her character and if banded together in sisterhood with other women may overcome men that wish to enslave her. She has the potential to save, condemn, manipulate and do great good on the occasion that she is afforded the opportunity. The downfall of the woman is her lack of power within social structures designed to further the ambitions of men and protect them from their own weakness. The men of these texts are diverse but all share reasonable access to power and autonomy. The entirety of the male gender is not painted as monstrous, rather these texts show examples that prove the male gender to be just as corruptible, redeemable, well-meaning and fallible as the female. •	Casey, Janet Galligani. “The Potential of Sisterhood: Christina Rossetti’s ‘Goblin Market.’” Victorian Poetry, vol. 29, no. 1, 1991, pp. 63–78. JSTOR, JSTOR, http://www.jstor.org/stable/40002055. •	Eliot, G. (2015). Middlemarch. 2nd ed. [ebook] Urbana, Illinois: Project Gutenberg. Available at: https://www.gutenberg.org/ebooks/145 [Accessed 1 Sep. 2017]. •	Rossetti, Christina. “The Goblin Market” Course Reader, 2017, ENGX314 iLearn site. •	Sutphin, Christine. “Human Tigresses, Fractious Angels, and Nursery Saints: Augusta Webster’s ‘A Castaway’ and Victorian Discourses on Prostitution and Women’s Sexuality.” Victorian Poetry, vol. 38, no. 4, 2000, pp. 511–532. JSTOR, JSTOR, http://www.jstor.org/stable/40002498. •	Webster, Augusta. “A Castaway” Course Reader, 2017, ENGX314 iLearn site. 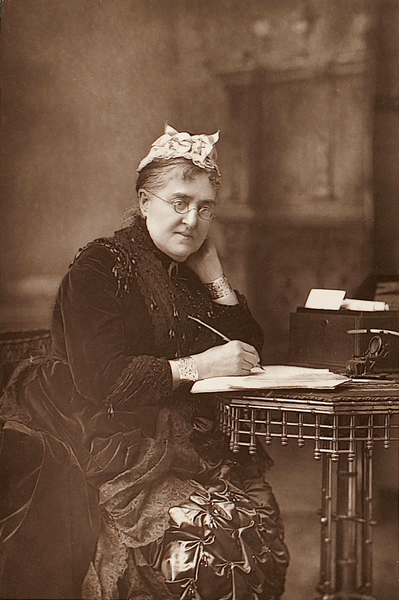 Women in the late eighteenth and nineteenth century began to utilize the persuasive power of the essay in order to put forward their ideas about what values and rights women should have. Whilst many women were beginning to write and philosophize outside of the domestic sphere, the persuasive writing of women gained an audience when utilizing topics relating to domesticity as a springboard for discussing broader subjects relating to gender and morality. This often means that discourse surrounding the role of women in society was approached as it relates to the notion of the ideal woman. This essay will attempt to analyze “The Milliners” (Jameson, 1843) and “The Girl of the Period” (Linton, 1862) as these essays were written by women of the nineteenth century and allow their authors to advocate for a particular role and ideal woman of their time. To a lesser extent this essay with also examine the impact of a particularly notable excerpt from Mary Wollstonecraft’s introduction to A Vindication of the Rights of Woman (Wollstonecraft, 1792) that also interacts with notions of fashion and what that means for evolving gender roles. As the perennial face of women’s rights in the eighteenth century, Wollstonecraft advocated for the education and emancipation of women citing their enlightenment as key to their value and progress within society. In her introduction to A Vindication of the Rights of Woman she pointedly condemns the female obsession with silliness and fashion, an obsession which leads them to neglect the more noble pursuits that are considered inappropriate for their gender (Wollstonecraft, 18). Wollstonecraft’s disruption of these gender roles that keep women uneducated and subservient comes at the end of the eighteenth century setting a radical precedent for the criticism of the ideal woman that is inextricably linked to the value she places on fashion and the domestic. Increased literacy amongst both men and women of all classes and the cheap manufacturing of texts during this period (Wilson, 58) meant that the reading audience grew dramatically and diversified. This new diverse audience left room for more diverse writing perspectives, leaving the door open to female authors particularly in the publication of periodicals (Wilson, 59). This new space for female authorship gave those who had limited scope for the proliferation of ideas a platform by which to advocate for their viewpoint in essay form. 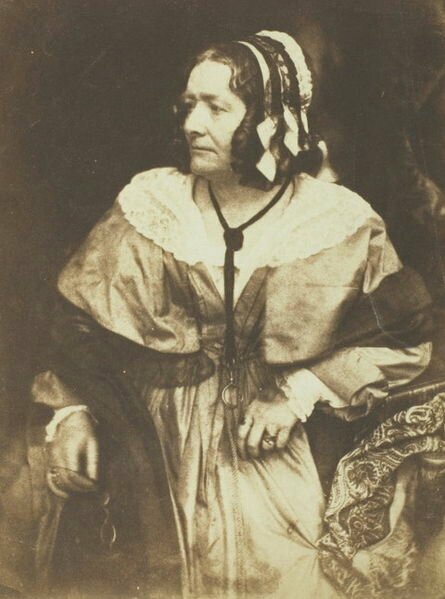 A common preoccupation of the persuasive essay as written by a woman of the 1800s is the criticism of the impact of progress on women and the role of the woman within society. Linton and Jameson both address perceived crises facing young women and girls of their time but in vastly different ways. Whilst Jameson addresses the plight of exploited factory girls, Linton bemoans the loss of the domesticated, homebound, British girl. Both texts also condemn the contemporary obsession with fashionable excess and what the female preoccupation with fashion means for the morality of society as a whole. Jameson’s essay, “The Milliners”, paints a picture of the modern working-class girl being all but drowned by the wave of progress as her youth, gender and lower social standing leave her vulnerable to exploitation in the manufacturing of luxury garments and fashionable accessories. Jameson compares the experience of the fashionable society ladies who wear the garments and the malnourished, exhausted and sickly girls who produce them, pointing out that they are “fantastically and horribly coupled” (Jameson, 1). This clear condemnation of excess at the cost of another is not only condemning the society that lets these factory girls be treated so poorly, but it is also calling upon society women to forgo some of their excesses in order to advocate for better working conditions. Jameson also posits an alternative to the oppressive millinery workhouses, highlighting more ethical conduct of a particular manufacturer. The female manager, in this case, has shown not only a capacity for creative and competitive business strategy but morality to treat her workers with a degree of respect not afforded to girls in other factories. Jameson is putting forward the ideal of rights for female workers as well as more socially conscious women of means. In doing this she is carving out a role for women in society as both a valued worker and a socially responsible critical thinker. In this way, some of Jameson’s discourse in her essay is a slightly altered echo of Wollstonecraft in the way that she views fashion as being an obstacle to women achieving freedom, knowledge or morality. Linton, in sharp contrast to Wollstonecraft in particular, refers to fashion as being, not the obstacle to enlightenment and emancipation, but a symptom of greed and selfishness that draws women away from the traditional domestic sphere. Linton is very clear about her expectations of gender roles, looking to the normative family dynamics of the past in which the wife is subservient and only exists to nurture both her husband and children (Linton, 3-4). She insists that a fashionable or independent woman lacks maternal instinct only offering her children a “stepmother’s coldness” (Linton, 3). The essay argues that the modern is woman useless in the domestic sphere meaning that she is not fulfilling her gender role within society to the detriment of both men and women. The fear of the woman in her role as an empowered individual rather than as a demure and subservient homebody drives much of both the criticism of fashion and the cultural isolationist viewpoint in “The Girl of The Period”. The condemnation of fashionable dress and less conventionally privileged British modes of dress (Linton, 3) provides an opening to heated and impassioned discourse regarding the decaying morality of “the girl of the period” (Linton, 1). Whilst Linton’s arguments for the regression of women’s role within nineteenth century to a state of domestication and servitude are anti-feminist and actively condemn the emancipation of her gender (Fix Anderson, 134) she employs similar condemnation of the frivolous excesses of the fashion of the time as Jameson’s uses in her opening and closing arguments. Jameson is chiefly concerned with ending the terrible conditions of working-class women, however, Linton’s concerns borne of preserving traditional gender roles that are gradually becoming obsolete as women move gradually outside the domestic sphere. In this way, the luxurious indulgences of privileged women are highlighted by both writers as socially irresponsible and contrary to the best interests of their gender and its role in an increasingly industrialized and modern society. Many movements that sought to redefine the role of women in a world that was changing rapidly due to the explosion of industry were intrinsically tied to an ideal form of dress. As Linton calls for more conservative dress and Jameson calls for more socially responsible, less excessive means of dressing, so too did other female writers of the time push forward their agenda by using the fashion and dress of women. Elizabeth Smith Miller, a proponent of the dress reform movement pushed forth the idea that more practical dress was a means of empowering women and allowing them to abandon the restrictive clothing, such as corsets and long sweeping gowns that caused extensive health problems and limited the activity of the women wearing them (Kesselman, 495). As a means of opening a dialogue about the role of women in society the critique of women’s fashion not only opens the door to discourse regarding the moral values exhibited by the chosen dress of women but also serves as a means to advocate for the rights of women and a changing role for women in a progressive society. Linton, Wollstonecraft and Jameson use the form of the persuasive essay to push forth their reasons for less ornate and fashion dependent modes of dress, but their criticism of this style of dress is used as a vehicle to push back against the role that a changing society has pushed women into. In the face of the changing social and industrial landscape of the eighteenth and nineteenth century were being called upon to fill traditional domestic roles whilst the practicalities of their modern lives require a flexibility of gender roles. Women’s role as subservient and homebound is being questioned by many writers, whilst others push back against the new freedoms being afforded the modern woman. Despite the differing agendas of the female writers examined (Wollstonecraft, Jameson and Linton) they all utilize, to varying degrees, a critique of what is proclaimed to be the female obsession with appearance and attire. As an aspect of women’s essay writing in the eighteenth and nineteenth century the preoccupation with fashion and its implications for the rights and morality of women should not be underestimated as it is often a powerful mode of discourse employed by a diverse range of prominent writers, to great persuasive effect. • Anderson, Nancy Fix. 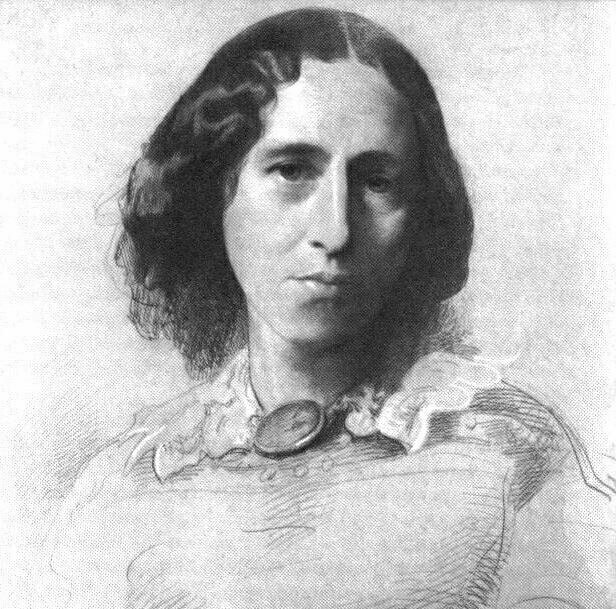 “Eliza Lynn Linton, Dickens, and the Woman Question.” Victorian Periodicals Review, vol. 22, no. 4, 1989, pp. 134–141. JSTOR, JSTOR, http://www.jstor.org/stable/20082411. • Jameson, Anna. “The Milliners” The Athenauem (1843) in Criminals, Idiots, Women and Minors: Victorian Writing by Women on Women. Ed. Susan Hamilton. Toronto: Broadview Press, 2004. Print. • Kesselman, Amy. “The ‘Freedom Suit’: Feminism and Dress Reform in the United States, 1848-1875.” Gender and Society, vol. 5, no. 4, 1991, pp. 495–510. JSTOR, JSTOR, http://www.jstor.org/stable/190097. • Linton, Eliza Lynn. 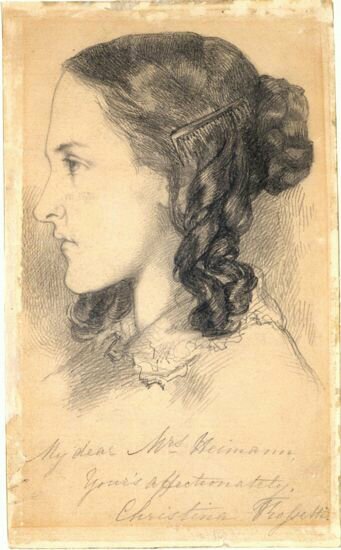 “The Girl of the Period.” Saturday Review 14 March 1868. Rpt. 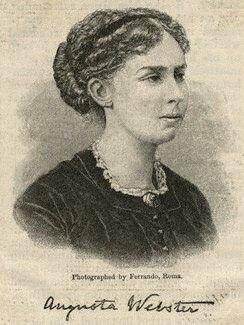 in Criminals, Idiots, Women and Minors: Victorian Writing by Women on Women. Ed. Susan Hamilton. Toronto: Broadview Press, 2004. Print. • Wilson, Cheryl A. “Placing the Margins: Literary Reviews, Pedagogical Practices, and the Canon of Victorian Women’s Writing.” Tulsa Studies in Women’s Literature, vol. 28, no. 1, 2009, pp. 57–74. JSTOR, JSTOR, http://www.jstor.org/stable/40783474. • Wollstonecraft, Mary. Vindication Of The Rights Of Woman. [Auckland, N.Z. ]: Floating Press, 2010. Print.